Start the New Year Off by Improving Sleep with the Pillar® Procedure! Getting a good night’s sleep is essential if you want to truly feel at your best. While you sleep, your body is at work repairing and recovering from a long day in preparation for tomorrow. Though sleep is so important to our day-to-day lives, many patients endure nights of interrupted sleep due to snoring and sleep apnea. These conditions not only ruin your rest, but they can also lead to serious health problems, including the increased risk of stroke and heart issues. At New York Oral & Maxillofacial Surgery, Dr. Stein can reduce the effects of snoring and mild sleep apnea with the Pillar® Procedure. How Does The Pillar® Procedure Treat Snoring? The Pillar® Procedure targets extra or redundant soft palate tissues in the back of your airway that cause vibrations during sleep, also known as snoring. During your Pillar® Procedure, Dr. Stein will place small implants into the soft palate to stimulate scar tissue, adding structure to soft palate tissue and limiting the extent of vibrations during sleep. These implants measure less than an inch and are not visible. Over time, palate tissues begin to stiffen, resulting in less vibrations and less airway obstruction to reduce snoring and sleep apnea. How Extensive Is The Pillar® Procedure? The Pillar® Procedure is a minimally invasive technique that lasts 20 minutes or less. This NYC snoring treatment requires local anesthesia to place your implants and does not require extensive healing time afterwards. Patients can resume their daily routine immediately after completing treatment. The implants used during your Pillar® Procedure do not interfere with swallowing or speech and cannot be felt. Patients usually see substantial improvements in their sleep within three months of undergoing snoring treatment in NYC. Some even begin to see snoring reduction within three weeks of their Pillar® Procedure. Once your implants are placed, they provide long-lasting results, so you can sleep better for years to come. Mark Stein, D.D.S., M.D. and his staff encourage patients to express any questions or concerns you may have about the Pillar® Procedure, as well as any of our other procedures. You can contact us at our New York office at 212.888.4760, or you may make an appointment online for a personal consultation with Dr. Stein. Considering Wisdom Tooth Extraction During the Holiday Break! The holidays have arrived! As children eagerly await the festivities, they also receive some time away from their schoolwork during the holiday break. Though dental health may seem like the least of your child’s concerns during this time, the mini-vacation could be an ideal opportunity to undergo wisdom tooth extraction without having to miss extensive time from school or activities. When wisdom teeth begin to erupt, they can cause pain and infection, if not properly treated. Thanks to innovative technology, recovery from wisdom tooth extraction takes a mere 2-3 days for many patients—short enough for your child to recover in time for the new year. At New York Oral & Maxillofacial Surgery, Dr. Stein can remove wisdom teeth early on and prevent potential complications that may arise if troublesome wisdom teeth are not extracted. Why Have My Child’s Wisdom Teeth Removed? There are various reasons as to why wisdom teeth may have to be removed. Many wisdom teeth do not erupt properly in the mouth. As a result, these teeth may grow in sideways or partially emerge from the gums. Worse, they can become impacted or blocked underneath the gums, leading to potential misalignment of other teeth, gum disease, and potentially cause straight teeth to become crooked. Furthermore, they may cause pain and infection around the affected area, as food and bacteria may become trapped. The suggested course of action when considering wisdom tooth removal is to extract teeth that are not erupting properly as early as possible. By being proactive about wisdom teeth extraction, patients can eliminate potential issues later on. Delaying your child’s wisdom teeth procedure may result in longer healing times and a greater risk of further dental damage. How Does Dr. Stein Remove Wisdom Teeth? Dr. Stein can remove wisdom teeth either under local or deep sedation anesthesia, depending on the needs of the patient. The teeth will be removed individually during the procedure using minimally-invasive incisions. Dr. Stein’s technique also results in less bone removal than more traditional wisdom tooth removal procedures, allowing for less-extensive recovery. Wisdom tooth extraction usually requires 2-3 days of recovery following treatment. Patients can expect moderate swelling after the procedure that also lasts approximately 2-3 days. Ice and prescribed medication can help reduce this swelling. Dr. Stein can discuss post-care instructions during your wisdom tooth consultation at our New York office. Mark Stein, D.D.S., M.D. and his staff encourage patients to express any questions or concerns you may have about wisdom tooth extraction, as well as any of our other procedures. You can contact us at our New York office at 212.888.4760, or you may make an appointment online for a personal consultation with Dr. Stein. Introducing nSequence® Software for Dental Implants & More! Oral surgery truly has come a long way. Specialized imaging software has allowed for precise dental mapping, while advanced technology can create customized dental implants to fit in with your individual set of teeth. Advancements such as these have made procedures safer and have produced better results, thanks to careful planning and execution. Creating a concise strategy before dental implant placement is crucial, as effective planning can result in less unforeseen circumstances during the procedure and less overall risk. nSequence® is the newest way to plan ahead for your oral procedure! This innovative dental software and restoration planning acts as a guide when performing the placement of dental implants. Once the implants are placed, a temporary restoration of the final teeth can be placed the same day by the restorative dentists because all the planning has been done beforehand. This makes the “Teeth in a Day” procedure much more predictable and streamlined. Check out some of the benefits of nSequence® below. Dr. Stein is the only Oral & Maxillofacial Surgeon in NYC that is currently able to use this technology. nSequence® software uses the CT scan taken in Dr. Stein’s office in combination with a restorative plan made together between Dr. Stein and your restorative dentist to formulate a surgical guide that will be used during the implant placement procedure. nSequence® scanning technology can produce a virtual wax-up (a virtual image or impression of your teeth) that can then be modified according to the desired treatment. nSequence® allows for precise planning in preparation for a variety of procedures. This software acts as a guide—allowing for accurate, realistic results with every change made on screen. Every surgical option can be displayed and surgeons can place implants at the desired depth, angles, and trajectory. Oral surgeons can even display multiple treatment options in order to determine the best course of action that coincides with the patients goals and desires. Mark Stein, D.D.S., M.D. and his staff encourage patients to express any questions or concerns you may have about nSequence®, bone grafting, dental implants, or any of our other procedures. You can contact us at our New York office at 212.888.4760, or you may make an appointment online for a personal consultation with Dr. Stein. 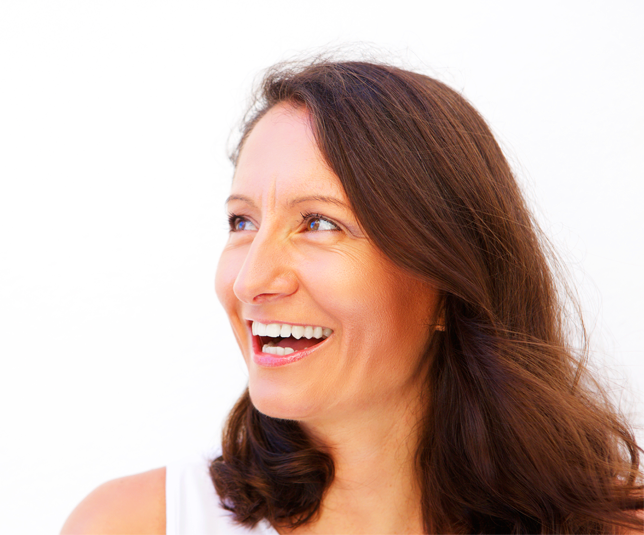 How a Sinus Lift Can Create Ample Space for Dental Implants! One of the most interesting things about oral surgery is the complexity of the maxillofacial region. Every patient’s situation is unique in some way. While many of us have enough bone density and space to place dental implants, this isn’t the case for every patient. Sometimes, additional dental work is required to properly undergo dental implant surgery. For patients who have lost bone around the upper jaw, a bone graft is required to create a strong platform for dental implants. However, this bone loss may lead to the sinuses being located too close to the jaw, and additional room must first be created in order to place your implants. At New York Oral & Maxillofacial Surgery, Dr. Stein can perform a sinus lift to move the sinuses further away from the jawbone in order to pave your way to a fuller smile. First, Dr. Stein will make a small incision in your jawbone in order to properly lift the sinus to the desired location. Once your sinuses are moved and space is created, a bone graft will be placed in preparation for your dental implants. A period of 6-9 months is required to ensure that the new bone fully integrates with your jaw and heals. There are a variety of bone grafting options, including utilizing your own bone, cadaver bone, or special bone grafting materials, such as the INFUSE® bone morphogenic protein. 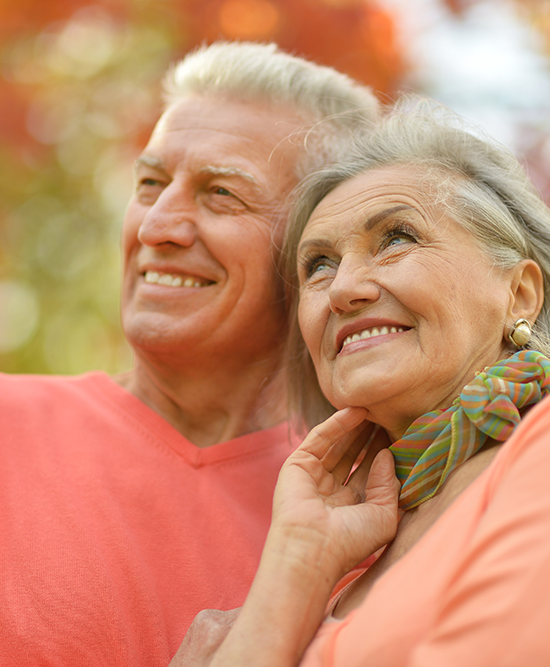 Dr. Stein will discuss which bone grafting option is right for you. Once your bone grafts are fully healed following your sinus augmentation, Dr. Stein will place your dental implants—providing natural-looking results that function just like real teeth and allow you to smile with confidence. Dr. Stein strives to find solutions that meet every patient’s unique needs and circumstances. Those who suffer from decreased bone density can still enjoy the benefits of dental implants thanks to the sinus lift procedure. Mark Stein, D.D.S., M.D. and his staff encourage patients to express any questions or concerns you may have about the sinus lift, bone grafting, dental implants, or any of our other procedures. You can contact us at our New York office at 212.888.4760, or you may make an appointment online for a personal consultation with Dr. Stein. Place Multiple Dental Implants with the All-On-4 (or More) Method! Looking to ditch your dentures? The “All-On-4” (or More) method is designed for patients who are looking to replace their dentures or who may need dentures later on. Unlike traditional dental implants that use a screw to anchor each individual tooth, the All-On-4 (or More) dental implant system uses just 4 (or more) implants to anchor an entire set of teeth! At New York Oral & Maxillofacial Surgery, we are proud to offer this innovative method of dental implant surgery! All-On-4 (or More) dental implants are permanent and can improve your smile for a lifetime! These implants help prevent bone deterioration and help maintain a healthy, full-appearing smile and facial structures. Additionally, many patients report an increased ability to chew food. Unlike dentures, there is no need for removal, as the All-On-4 (or More) method produces a fixed set of teeth. Your implants act similar to natural teeth, allowing you to brush and floss and eat virtually any type of food. Unlike traditional dental implants, patients do not require bone grafting before undergoing All-On-4 (or More) treatment. Your All-On-4 (or More) procedure can be completed in one session and requires little downtime. Many patients resume daily activities the following day! Dr. Stein will schedule a follow-up appointment with you to finalize your All-On-4 (or More) procedure and evaluate your results. Dr. Stein is dedicated to the long-term health of his patients and is always looking ahead to assure the most efficient care possible. If you currently have dentures, or may require dentures later on, consider the All-On-4 (or More) method for a natural-looking set of teeth. Mark Stein, D.D.S., M.D. and his staff encourage patients to express any questions or concerns you may have about the All-On-4 (or More) method, dental implants, or any of our other procedures! You can contact us at our New York office at 212.888.4760, or you may make an appointment online for a personal consultation with Dr. Stein.